5 beds | 8.00 baths | 6,074 SQ.FT. 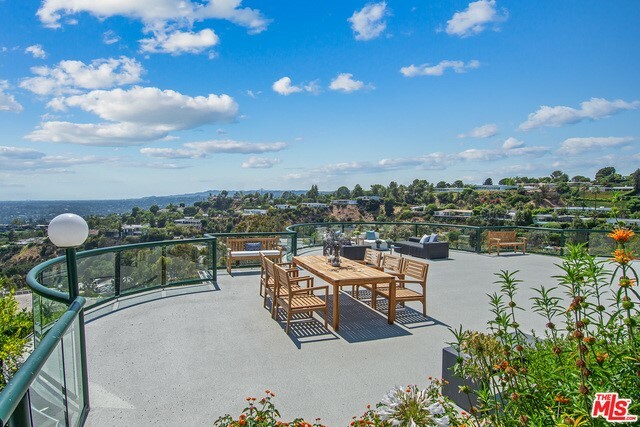 Gated Mid-Century Modern home recently redone located in prime Beverly Hills /Trousdale Estates. Open floor plan with formal entry this 5 bedroom +7.5 bath home offers sweeping city to ocean jetliner views. Ultra high ceilings, large open spacious living room with expansive sitting areas, marble fireplace, bar with sitting area. Formal dining room, huge gourmet kitchen with top of the line appliances and center island. Breakfast area overlooks the swimming pool. Expansive outdoor patios and huge deck perfect for entertaining. Attached guest suite and separate lower level 2+2 guest house. Truly one of a kind property a must see for the most discriminating clients.